Maggie 先生 ABC レッスン　（名古屋　英会話スクール　Action! Language Academy）　公開ブログ　O : "Are we still on?" O : "Are we still on?" "I thought we were gong to a party tonight." 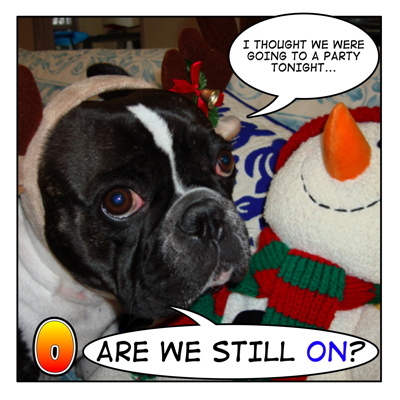 "I thought we were going to a party tonight..."
Anyway.....Have fun at the party, Maggie!